Apple is seen with a couple of amazing products which keeps on adding at various point of time. Recently it was seen launching iPad 3 which is selling like a hot cake in the portable computing device market. The number of useful and interesting applications found in the App Store makes iPad 3 a favorite device among the users. People from different walks of life, age and gender, perhaps everyone are seen using different applications over iPad 3. The below is the list of top eight new applications for iPad 3 which can ease your life and help you in your daily and regular activities. It is considered as the most incredible productivity application. It helps any user to stay an organized life. Evernote helps you take down your notes, capture photos and create your task list. It is pretty user friendly where you can easily search things you want. Also, the most striking feature of Evernote is that it has upgraded to the retina level graphics. It’s a free application. It is a very simple and user friendly voice recognition app which helps people to speak and instantly check their text or email messages. It helps you to see your texts on the screen quickly and instantly much faster than typing on any keyboard. If you are at Facebook or Twitter, you can update your status by merely dictating via Evernote. So whenever you are in a hurry, it proves out to be a very handy tool for you while coming up with long email or text messages. It is among the most interactive kinds of application found in the basket of 3D globe. The application comes with stunning graphics which can give you hours of entertainment. Children and young people would certainly love exploring the three dimensional globe. It comes at a cost of 7.99 dollars. The application helps you in creating, editing and sharing of MS Office and other such documents much easier than you think. This application comes with different features including export PDF, better editing and printing to a couple of printers (and not just one AirPrint). You can easily use it over Google Docs or Drop box for sharing any MS office or and other such files. It is considered to be a leading finance application which gives you powerful visualization of financial information and data. It helps you to see the data by quickly loading it over your device. It appears quite stylish having lots of vibrant colors with easy navigations for people who have interest in stock market. It comes at a cost of 4.99 dollars. It is a unique and new application which gives you an easy and quick way to connect with your friends. It is a great instant messenger which helps you to share live messages with your family and friends both in group and private. It is quick, simple and fast application which is a must for effective chats. It is available at the cost of 4.99 dollars. It is an intelligent calculator which is brilliantly designed for a number of calculations. The interface of Calcbot allows you to instantly check your past calculation which can be stored in the history tape. Also, you can quickly email the values to your friends or co-workers. You can get the best experience using CalcBot only in the retina display graphics. It is available at the cost of 1.99 dollars. It is a very powerful fun photo and video application which unleashes your creativity. The pictures or videos you take are seen stunning using a couple of its features like tilt-shift; color splash, vintage film etc. The real time preview feature gives you the idea how your final shot would appear before you shoot. People all across the world just love to use Apple’s products including the recent addition iPad 3 for a wide range of features and incredible applications. 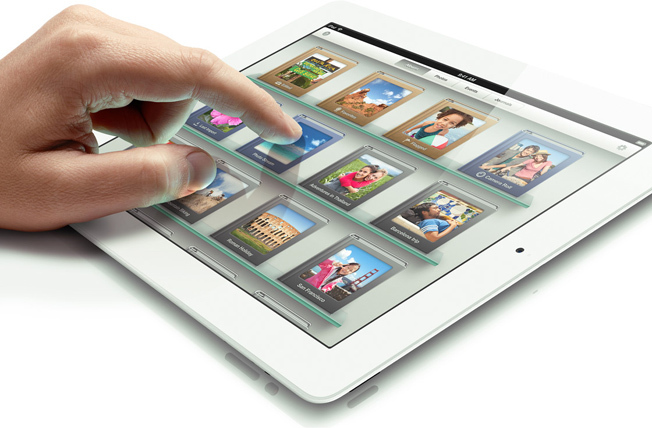 With these new eight apps meant for iPad 3, you can certainly add values to your life. So just try them out. About the author: Brianne Walter is a blogger who also happens to be a tech freak. She loves spending on tech stuff and recently an article on used porsche 911 attracted her attention. These days she is busy in writing an article on christmas decorations cheap.